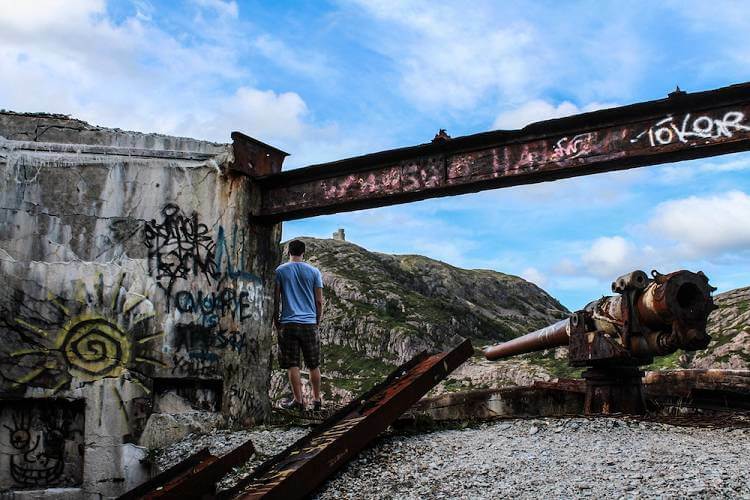 How to Explore St. John’s, Canada like a Local: Locals introduce their city. In today’s MYCITY interview Candice from “Candice Does The World” introduces St. John’s, Newfoundland and Labrador, Canada. Send me an email when you’d like to present your city. I’m a nacho connoisseur, lover of beards, outdoorsy hiker, luxury diva, and contradictory professional experience collector. I’ve lived in Newfoundland my entire life, and I’ve lived in St. John’s for 10 years. You can follow me on Twitter, or Instagram. That’s a hard one! There are so many good restaurants here. The Adelaide Oyster House is probably my new favourite venue. Excellent tapas menu, with oysters (of course). For more high-end, it’s always Raymond’s or The Reluctant Chef. Newfoundland has a lot of unique and quirky foods. Fish and chips (with cod) is a big one. Or cod tongues and scrunchions (fried pork back fat). At Mallard Cottage in Quidi Vidi, you can order a seal burger. Highly controversial to some people, but it’s a way of life on the island, and the chefs at Mallard Cottage are extraordinary. Ooh, toughie. Christian’s Pub on George Street for mingling. Shamrock City or Erin’s Pub for traditional Newfoundland music. The Rock House for more of the local music scene. The Grapevine for a more relaxed setting. What about the Nightlife in St. John’s? For such a tiny city, the nightlife in St. John’s is crazy! We have George Street, which has more clubs, pubs, and bars per square foot than anywhere else in North America. The place gets wild on the weekends, but there’s something going on every day of the week. In the summer months, there’s the George Street Festival, where the street becomes one big giant bar and there are concerts in the middle of it all. The local music scene is fantastic. There are always small shows at The Ship, or the Rock House. It’s a booze-lovin’ place, that’s for sure. Hike to the top of Signal Hill, from The Battery. Drive to Cape Spear, the easternmost point in North America. Actually, any of the East Coast Trail hikes are fabulous, and during the spring months you may have a chance of seeing icebergs and whales from the coast. The Rooms Art Gallery and Museum has a free night every Wednesday. A lot of people despise George Street, so if you’re not into that kind of busy nightlife scene, don’t go there. Also, be wary of using the word “Newfie” when addressing a Newfoundlander. It’s often considered extremely derogatory by the older generations. By foot or by car. One thing St. John’s does NOT have: a good public transit system. Fortunately, if you situate yourself downtown, you can get everywhere quite easily by walking. It’s why I live here. Oh geez, it’s been awhile since I had one of those! Any of the restaurants I mentioned are ideal for dates. A drive up to Signal Hill at night is never a bad idea. George Street, especially from Thursday to Sunday. Christian’s is a really sociable spot, as well as Shamrock City. Bannerman Park or Bowring Park. Both are beautiful. Bannerman is closer to the downtown core, however. Bannerman or Bowring Park. Or anywhere downtown along George Street, Duckworth Street, and especially Water Street. Lots of interesting and colourful characters there! Grab a hotel or bed and breakfast downtown, near the waterfront. Most of the city’s attractions are easily accessible from here. A bed and breakfast is a good option because you’ll be introduced to some famous Newfoundland hospitality. Come during spring or summer, or early autumn. Winters are really hard here – it gets cold, and we’re one of the snowiest cities in Canada! Plus in early spring and summer you’ll likely see icebergs and whales. Use Couchsurfing or social media to meet some locals. Newfoundlanders are extremely colourful people – we have a distinct accent/dialect, and some unique cultural attributes not found elsewhere in the country. We know how to have fun and we love ensuring that visitors have a great time in our home! Be prepared to spend some money. Like most isolated destinations, the cost of living in Newfoundland is high, and so is our food and alcohol. Dress for all weathers! You never know when you’ll get caught in a rainstorm in the middle of a scorching hot summer’s afternoon. One thing you would like to change about St. John’s? I wish it were easier to get around. The bus system here is seriously flawed. On the other hand, it’s a small enough city that even if you’re using a taxi to come from elsewhere in the city, it’s not outrageously expensive. St. John’s sounds cool! You mentioned many times how small the town is, can you explore its wholeness in a day? by walking? If so, I’d do it. I love walking. 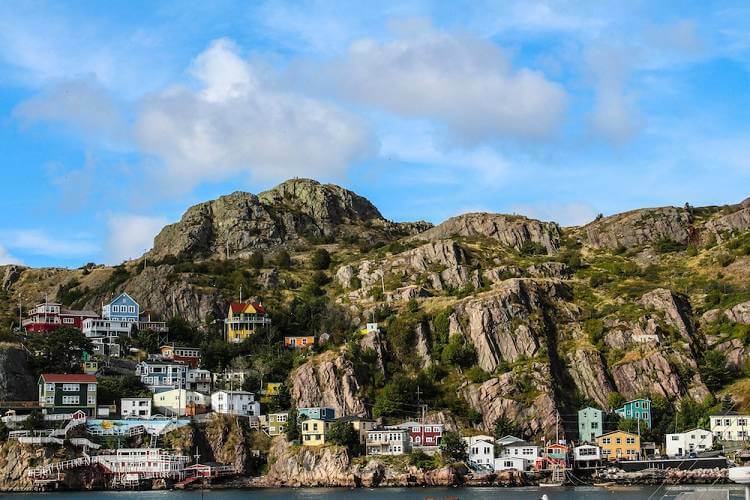 St. John’s sounds amazing and I love the concept of letting locals introduce their city. What a great way to find places to explore! My sister has been bugging me to visit Newfoundland and this kind of cynches it! That picture of the city and rock is a stunner. I know so little about Newfoundland but it sounds like a great place to visit (although I’d take the advice of sticking times when the weather is warmer. Sounds like the most fun thing there is the people – which, when you’re willing to extend yourself and meet people, is most often the case. I graduated from Memorial University with a Bachelor of Education degree. St. John is one of the best places to party. I couldn't agree more about the nightlife. It doesn't have to be the weekend to enjoy a good party. It’s a shame we won’t make it to this part of Canada on our road trip. It sounds fascinating! Lovely introducing :) Photos are great. I really want to visit Newfoundland. I worked with a couple of guys from there and they were amazing to hang out with. Plus I want to try the food, and one of them promised to take me fishing.